A lot of people get confused when talking about social media management and community management. 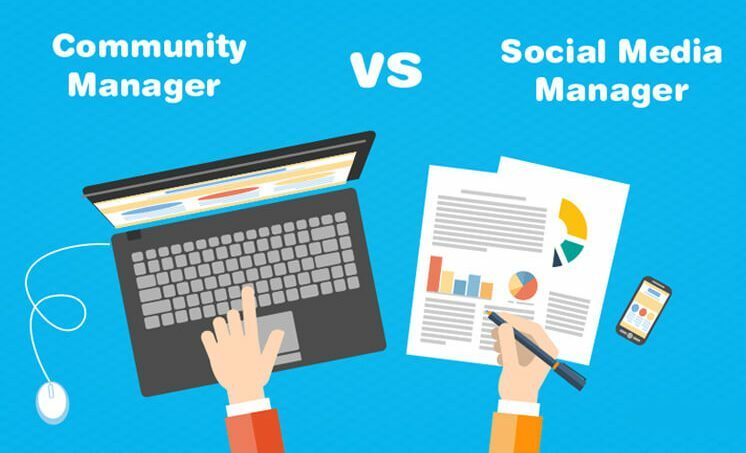 So we asked the question: What is the difference between a social media manager and a community manager? For smaller companies, one person may take on both roles; but in general, the two jobs are very different. Social media managers basically act as the brand while community managers represent and advocate for the brand with their own voice and via their own social presence. Social Media Manager: The SMM’s job is to BE the brand on social. They develop a social strategy for the business and execute from every angle. They act as the brand in every sense; they create, curate and schedule content that best reflects their brand voice. They manage campaigns and report on social analytics. They also monitor conversations on social accounts and engage with their audience under the mask of the brand. Community Manager: The CM’s job is essentially to act as a spokesman for a brand and use their own voice to build a loyal community. This can be either on their own social accounts or by using the brand’s social account but announcing they are “taking over” for a period of time. Their job is much more customer-focused. They connect with their followers, stimulate conversations, make customers feel valued and try to spread brand awareness outside of that group. Thanks for stopping by, hope this was helpful!